1. Yokohama gets a lot of the Commodore Perry press but little Shimoda, at the bottom of the Izu Peninsula, is the real star of that show. The first US consulate can be found here in an old temple building, and the graves of US Marines who accompanied Perry are nearby. The center of town follows a small canal and makes for a beautiful walk when the Izu cherry trees are in blooms. 2. If the crowds at the Sapporo Snow Festival start to make you crazy, jump on the train and head north to Otaru, a charming little canal city with its own winter celebration. While you’ll find oodles of adorable boutiques dedicated to music boxes and the local glassware, fill your stomach at one of the local breweries – German cuisine and smooth microbrews are a specialty at the main Otaru Brewery. 3. Kibune reminds me of an ukiyo-e (woodblock) print. This one-street town north of Kyoto is known for its top-class ryokan and with their perfectly manicured gardens and old-fashioned entryways, the scene is pretty as a picture. The best time to come is in summertime, when platforms are set up over the river to allow visiting diners a spectacular view. 4. It certainly can’t hold a candle to Venice, but Yanagawa – Kyushu’s own water city – is a thoroughly enjoyable daytrip from Fukuoka. You can be poled along the canals by a local boatman or you can walk the well-maintained trails along the bank. The boat lets you off on a street of restored warehouses, many of which have been converted into eel restaurants. 5. The bus will eventually get you to Onna Village on Okinawa’s main island but if you’re keen to get to the white sand beaches as quickly as possible, a rental car is your best bet. There are no real sites in the village; rather, this is the place to kick back and relax, eat your way up and down the street and soak up the sunsets that light up the East China Sea. Kibune is a must see! Definitely one of my favorite places in the world! So perfect and picturesque! Yes, actually, five marines in total at buried at Gyokusen-ji, the temple that acted as the first US consulate. The first was a young man from Connecticut who fell from the mast of Perry’s ship in 1854. Definitely an interesting but not very well-known piece o history! Thanks for reading! I personally am a huge fan of Kyoto (though I’m always seeking out the nontraditional experiences there) but it’s so refreshing to get off the tourist trail as well. Where in Japan will you be? Enjoy your time here! 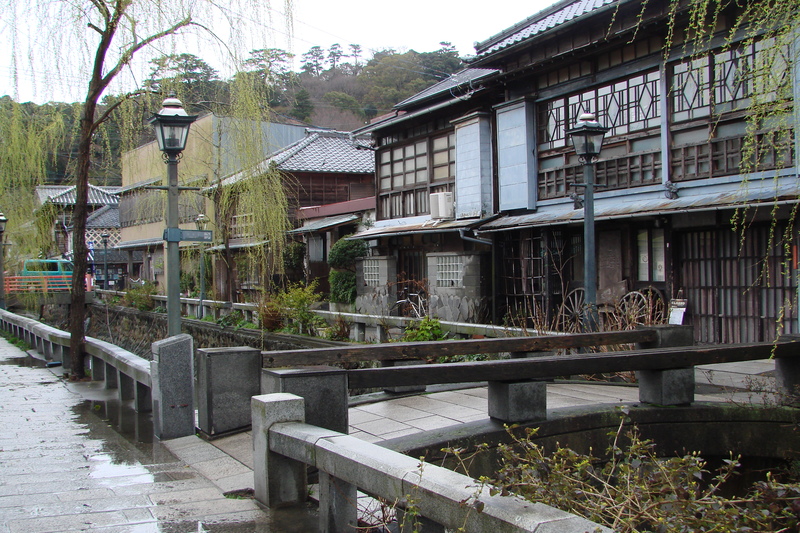 If you really want off the beaten track, check out Yunishigawa Onsen in Gunma Prefecture. Great hot springs and a fascinating history as one of the hidden Heike villages. I’m sure you’ll have a great time wherever you go!